MHP has been under contract with the Jet Propulsion Laboratory (JPL) since 2002 as Campus Engineer, during which time we have completed over 100 projects with a wide variety of structural considerations. 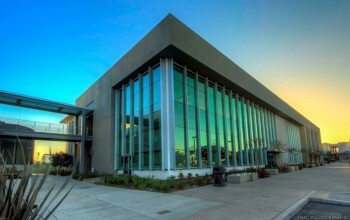 These include detailed seismic evaluations of nine of JPL’s prominent structures including linear and nonlinear computer modeling, and various repair, strengthening, and renovation projects throughout the campus. For JPL’s Goldstone site, MHP studied the existing 70 meter diameter alidade lift structure which was originally constructed in 1965. The antenna structure consists of a circular concrete pedestal base, the alidade structure, and the tipping portions that consist of the tie truss, wheel truss, and primary reflector structure. MHP investigated the adequacy of the lift structure and alidade to resist loads from the antenna during seismic and wind events. MHP also provided the structural and seismic design for the Touchdown Dynamics & Traverse (TDT) Testbed, as part of the Mars Rover project. The design services included: foundations for the Gantry Structure; Gantry Structure; Equipment Tower Structure and Related Systems; coordinating with the Motion Simulator and Bridge Crane vendors; Stairway Support Structure and access platforms; preparing specifications and final construction cost estimate.